ios 8 2014 was a huge year for Apple’s mobile keyboard. This is the ios that finally opened up the keyboard source code to outside developers so that entirely new and different keyboards could be used in place of Apples. Things like gesture typing and keyboard shortcuts really came into their own in 2014.
ios 9 added some subtle but cool keyboard updates and tricks as well as fixes for some long standing problems. You can read more about those updates here. Where this comes in extremely handy for me is while I’m typing longer documents or emails. I make the same typing mistakes over and over…which isn’t a bad thing because Apple keyboards now have a unique way of learning and adapting to a users specific style of typing. The more I type, the better the keyboard becomes at auto-correcting my errors. Although, this behavior is somewhat odd in that it works better on some devices than it does on others. Perhaps a detailed analysis of my Settings on all devices is in order. But the new Joystick feature for me, has improved my typing productivity immensely…by speeding up my own corrections when auto corrections aren’t enough. It’s really simple to do actually. You just need to place two fingers together anywhere on the keyboard, and all the keys become ‘immobilized’ by appearing to be ‘greyed out’. That means you did it! You are now able to move your fingers all around the Keyboard space, which moves the curser too. You can glide the curser wherever you want it to be…quite precisely I should add! Here’s my really quick YouTube video demonstrating how to engage the joystick. Recently, my finger dexterity seems problematic. Although it’s quite possible that Apple’s redesign of the keyboards is actually to blame. I haven’t compared the overall size of the newest keyboard to say the ios 8 or even ios 7’s, before all the recent keyboard enhancements began. But, regardless of the reason, this phenomenon is responsible for 2 frequent typos I’m constantly correcting. The first is that I now miss the Space Bar…a lot. I inadvertently hit the m key instead. This adds one more item to my ever growing proofreading routine…deleting random m’s. The 2nd is that I don’t readily reach the Shift key when I want to capitalize letters now. Except in this instance, I inadvertently ‘depress’ the a key…so I have a lot of a’s to remove too, as well as an extra step that capitalizes words I’d intended to but didn’t. Corrections which were once tedious (and time-consuming) are now fun, easy, and super quick with the new joystick!!! Precise control over curser placement is my favorite benefit of using joystick mode. Trying to position the curser inside a word exactly, where you need to place it can be exceedingly difficult (although this ease is dependant upon the app you’re using too.) This is because the app you are using dictates exactly which keyboard features are available to you. There’s a ‘hidden’ shortcut in joystick mode, which is also a great time saver. The shortcut works like this. With joystick mode engaged, if you place the curser on a word and tap once, that word is immediately selected. If you tap twice, the whole sentence containing that word is selected. If you tap 3 times, the entire paragraph is selected. The ability to quickly select in these three different scenarios, rather than needing to accomplish this task manually by first selecting a word and then dragging the ‘blue dot handles’ around your desired capture target (this alone can be a frustrating endeavor,) saves me a lot of time! Tap once to select a word. As most people who type a lot on ios devices know, even ther mere act of positioning the curser somewhere can be difficult at times and extremely frustrating occasionally too. Joystick mode bypasses all the frustration by allowing you to position the curser anywhere quickly and easily. While researching this topic for my post I ran across this quick video tip which shows you how to turn an iPad or iPhone into a remote keyboard for a computer. And another great YouTube video that reviews 9 of the best free keyboard apps for ios. Here’s a good YouTube video highlighting some of the best new features in ios 9. If you fast forward to about the 10:30 (or 10 1/2 minutes from the beginning of the video) there’s a great demonstration o.f the hidden joystick shortcuts. Please leave any comments or questions using the form below. 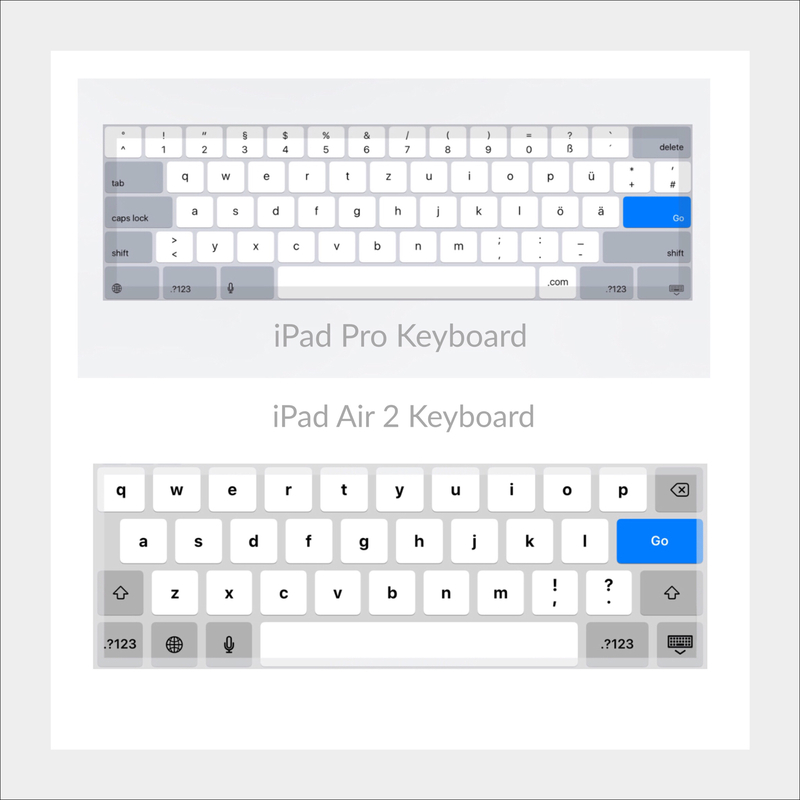 This entry was posted in Apple Products, ios 9, ios 9 Quick Tips, Tech Tips and tagged how to turn ios 9 keyboard into a joysitck, ios 9, ios 9 new keyboard features, ios 9 Quick Tips, new ios 9 keyboard feature. Bookmark the permalink.